Hoarding advertising is the most preferred outdoor advertising media today. It has been a way for branding products of all kinds and has been in use since long. This trusted medium can be used in the most profitable way in association with Multi Plus Services. Multi Plus Services has business tie-ups with various outdoor advertising agencies operating in major cities all over India. 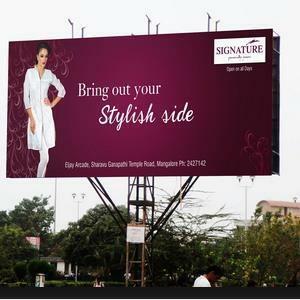 It offers a wide range of outdoor advertising formats like hoardings, bus shelters, bus panels, pole kiosks, glow sign boards etc to choose from. The main principle of Multi Plus Services is to create an effective outdoor hoardings advertising plan for its clients. These plans are not only economic but also focused to tap the target audience. Expert teams design plans to suit the requirements of clients. Every campaign designed by our team goes under scrutiny process in order to ensure the best possible way to benefit your brand or organization.